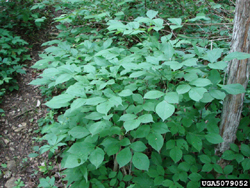 A new friend in Michigan, Elinor, emailed me about some seed pods on a little tree she spotted in the woods near her. From here description, the only tree that I know of is goldenraintree, which is hardy in Delaware, but not (I don't think) in Michigan. She sent some photos, and I had to admit I was baffled. I thought that I had seen these pods in the woods here in Delaware. 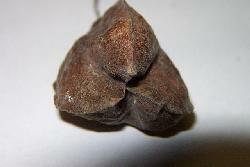 She then sent some of the seed pods (see photos below). 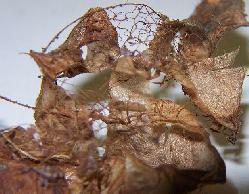 The pods are papery and light, about an inch or so long, dark brown, and terminate in three distinct points. Each point is the end of a separate segment, which are hard to separate. The segments are filled with lots of fibers, and light brown seeds. Here are three photos of the seeds. The first shows the size, the second the distinctive endpoints of the three segments, and the third the web of fibers filling each individual segment. 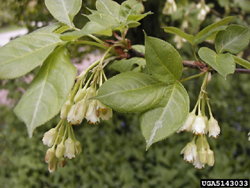 I sent these photos to my contact at the Delaware Center for Horticulture, and Jim ID'd the seeds as American Bladdernut, Staphylea trifolia. 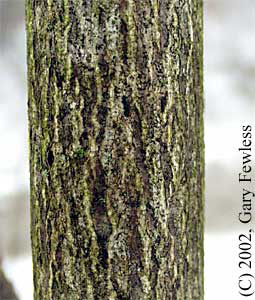 Once I identified (with help) the tree, I found some photos on the internet. These are from the references below. 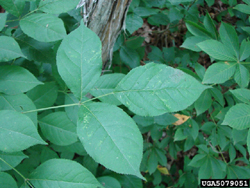 My contact reports that the pods are very obvious in the fall when all the leaves have dropped. I haven't seen these in Wilmington, but if I can grow then next spring, you might. Stay tuned for my spring planting attempts! 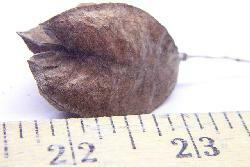 Here are a few links to the American Bladdernut from the University of Wisconsin, and Forestry Images.